However I'm now wondering what Moclan females are. The males mate and lay eggs, so what, anatomically, are "females"? Essentially neuter? With no children to take care of (and be expected to have), they could instead be the defenders, protectors, the standing army, even the governing body. Come on, The Orville, you could find some old records showing something like that, and the current persecution perhaps based to be on a long-ago failed military uprising. I bet you won't, but prove me wrong. Yet again with that tired and offensive old sexism trope? I generally enjoy The Orville with its classic Star Trek feel and light touch, but seriously, why do pretty much all SF series (and I'm looking at you too, Farscape; rant here) have to do the sexist society trope? You know, as if it's new and original? As if they have something new to say? It might be slightly original if it were men being oppressed but as far as I know only C J Cherryh's Chanur novels have done that. We had to put up with the Moclan society and Bortus's offensive mate last season, and oh joy, here we go again. Enough already; I refuse to watch. One small plus: Marina Sirtis in a bit part as a teacher very early on, using her own accent. Once you've seen her scene, you can skip the rest. In the absence of content and because photos are all I have to offer and uploading and posting them is such a pain, have a meme. Not so very much with the patience thing though. Or I'd be posting the photos. 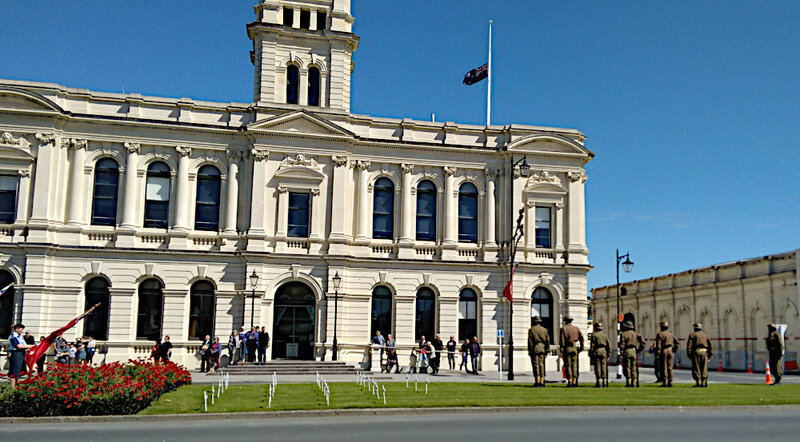 I went to the vigil held here in Oamaru for the Christchurch victims. It started in St Luke's Church with candles, then we walked from there to the Courthouse. People walking from St Luke's down the main street to the Courthouse. All my Muslim friends were there too, some of whom are mourning people they knew, and they were surrounded with love and support. It's a lovely late summer day here. Have a Te Reo (Maori language) version of Bohemian Rhapsody - truncated but still very cool. Snagged from thisbluespirit , but grouped instead of ranked because I've written so few of them. It's a very bizarre list, and for that matter some strange tropes I've heard of actually aren't on it. We don't have either of those sizes. In this country they go up in this order: single, double (really 1.5 and to be avoided for two), queen, king, super king. We have a queen. Twin beds are plural here, referring to two singles in one room. One normally, two if I'm not feeling well. No, and I'm not sure I'd like one. We used to have heavy wool blankets in winter when I was a kid and I didn't really like the weight on me. I prefer a duvet now, or just a sheet in summer. No, not even as a child, as I didn't have any. That sounds sad, but I had loads of wonderful toys (mostly for boys), just not stuffed ones. I do now though, all bought as an adult. Most of them are cats but I do have a magnificent black bear, though not a teddy: it's very realistic and unrealistically soft and cuddly. No TV in the bedroom, but if I'm tired, I might doze off in front of the telly in the living room. My usual bedtime ritual is to do a cryptic crossword in bed before turning the light off. It's relaxing and distracts my brain from any worries. 1. Comment to this entry with "Ooh, shiny!" and I will pick three of your icons. 2. Make an entry in your own journal (or just reply if you prefer) and talk about the icons I picked. This is Elim Garak from Star Trek:DS9, ostensibly a "plain and simple" Cardassian tailor who enjoyed the holodeck, but in reality a lot more complex, being an exiled spy and former member of the Obsidian Order, the Cardassian intelligence service. He was one of my favourite characters. Servalan, the elegant and evil Supreme Commander of the Federation's Space Fleet from Blake's 7, swanned about in formal gowns that proclaimed her power: who needs uniforms and rank insignia when you can dress in white and never actually get your hands - or clothes - dirty? She's here at Space Fleet HQ with her glass flower, smiling sweetly and being evil. Vila Restal, also from Blake's 7, a very clever thief and often the comic relief though he was at heart a sad character who had no self-confidence outside his skills and was often picked on. His and Avon's witty interactions in the first two seasons (they were at that stage sort of friends) were what attracted me to the show when I found a list of quotes online. He was my favourite in B7 (as you can tell from my username) and one of very few faves who aren't alien or androids, oddly enough because he was so very human. This icon was made years ago when I went on a comic-making kick with the GIMP image software: reduce an ordinary screencap to outlines, then fill them in. Oh good, a Friday Five I can do, even though it's summer here. 2. What is your go-to drink in the winter? Coffee, specifically a flat white (good description here along with a photo of the usual NZ fern version). Mind you, coffee all year round is pretty good too. Breakfast is not breakfast without it. 3. What are your favourite things about the winter? Now I'm living here, the sunny days and lower rainfall - so much more enjoyable even though there are still occasional storms and floods. Much, much better than I did! Vitamin D helps when there's no sun. They didn't call this country Aotearoa (land of the long white cloud) for nothing. 5. What are your least favourite things about the winter? In general* there not being anything for everyone to look forward to or celebrate while northerners have Christmas, New Year, and various other fun things to brighten them up depending on where they are. * But hey, at least there's the Steampunk festival here in early June, so that's something that for me puts Oamaru a big step above anywhere else in this country. Even though it's limited in its appeal to others, including friends, lots of people from out of town or even overseas come to here to join in the fun. 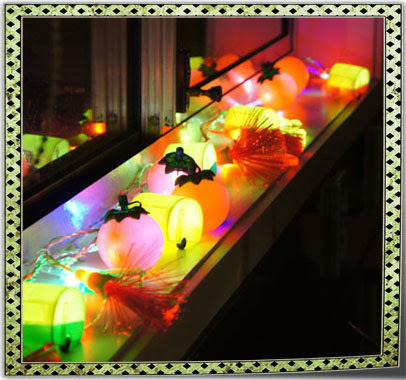 We haven't got any Christmas decorations, but I suppose I could have got out the summer holiday lights (50s-style caravans, tomato sauce bottles, pohutukawa blossoms, and jandals/thongs/flip-flops though they all seem to be hidden behind bigger lights...) but it doesn't get dark till 10pm. Last night at a friend's place though I took a photo of their only Christmas decoration. It's summer, so no one here does that. Why does anyone though? Just asking - is it a sort of joke, like wearing the ugliest thing you can find? I was always in the know, never having believed in Santa / been told that particular lie. St Nicholas however was a real person and if he happened to pass while throwing dowries in the windows of poor girls, I'd offer a bite to eat and a cup of tea. 5. Tired of the snow and icky weather yet? For those fortunate people in the other hemisphere, are you tired of the humidity and hot weather? I'm sick of rain like everyone else in this country. Summer's been very late this year, what with cold and rain for two months. The sun is shining today though - YAY -and I'm hoping it will for more than one day this time. Here's my Unconventional Courtship story, written during renovations (ceilings coming down, new ones going up, walls being stripped, noise, and dust everywhere). This fic challenge is one I enjoy though - because? - I find it hard, romance not being a genre I go for. It's also fun finding a plot synopsis that appeals. Summary: A woman without a past... She didn't know her name; she didn't know her home planet. "Mina" knew only that her martial-arts skills and weaponry and assassination techniques went far beyond the average person's. 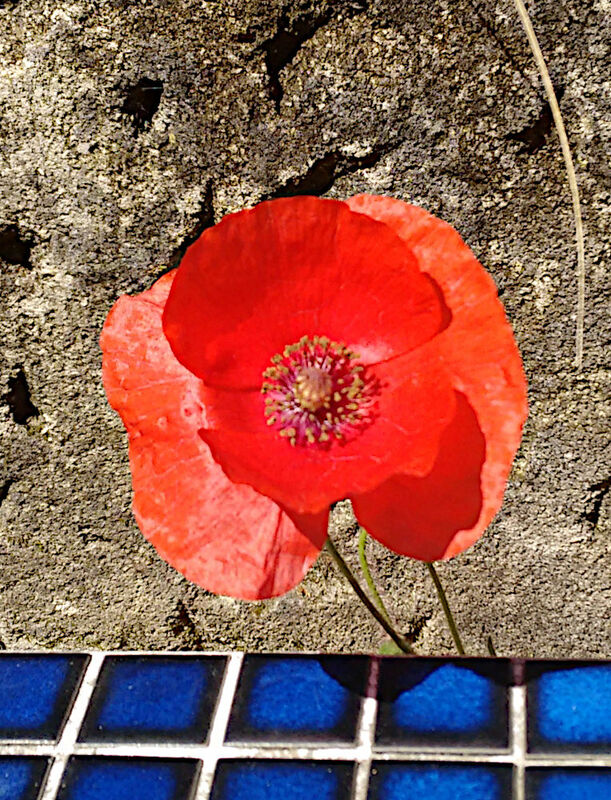 A mark that became a death warrant… The people who'd tried to assassinate her all shared one common trait: a tattoo of a winged horse, like the one on her ankle. I finally got round to uploading the Avon story I've been sitting on for a while. It was written for a gen bingo card, but I very much doubt I'll get a bingo as it's been so long. It's a PWB about Avon working in the Aquitar Project, and was for the prompt "Office". I was just checking out the Christchurch Grymmstone and Treacle Emporium who will be bringing their wares to town for the Victorian festival - and also found out who owns and drives the giant teapot we saw: it's a very cool mobility scooter! Later than I'd planned, but here's the last lot of photos. I've tried to select photos that are different from last year's, so none of tea duelling for example, though I did watch again (but didn't compete this time). Earlier this month was the annual Steampunk Festival (see these two posts for last year's). I've finally sorted out some photos for each of the three days. Not much for Friday as it officially started that night. I still haven't got round to sorting out and selecting from my many photos of the steampunk festival, but here are some others. On Thursday, the shortest day (yay, past at last!) I went on a Tiger Moth flight from Omarama over Lake Benmore, a gift Greg ordered for my birthday. It was freezing (literally: -1C) but totally awesome! The plane was one that took part in the Warbirds over Wanaka and is based there, but I got a 30-minute flight from Omarama (a place famous for clear skies and great gliding weather) on its way north to Auckland for winter maintenance. Here's my intoabar fic - yes, yet another one where I throw Vila into a universe he doesn't belong in. There are probably vanishingly few people who know both fandoms, but zoefruitcake, who put me and Greg onto Detectorists - for which I am very grateful - is one. If you can get hold of it, do. Prompt: Vila Restal goes into a bar and meets... Andy Stone! Summary: Vila needs to retrieve two Terran Federation credit coins, so he enlists the unwitting help of two metal detectorists. It's Anzac Day today, so here are photos from the Anzac in Action event we went to on Sunday at the Rangitata Island Aerodrome. It was really impressive with WW1 trenches complete with dugout, lots of military vehicles, and a simulated battle to end the day. Stargate fans, look for the surprise Goa'uld! A bit late because I am slack, but here are a few photos from Sunday, the last day of the airshow. It started off literally freezing - we had to scrape ice off the windscreen - but was so hot later we both got sunburned. Plus bonus photos from the day after in Wanaka. Saturday last weekend at Wanaka started off muddy and cloudy after a night of heavy rain, but at least the rain and stopped, and the hot sun was back out before lunch. Unfortunately right at the beginning a Yak-3 clipped a cherry picker with its wing after landing, got spun right round, and damaged its wing, undercarriage, and the cherry picker. Right in front of our stand; yikes! And why were the cherry pickers even there? We were told it was for fireworks, or maybe something to do with the coloured balloons on the far side of the runway, but they were gone the next day. Anyway, the investigation and getting the poor Yak-3 off the runway closed it for two and a half hours, so much of the morning programme was cancelled. We were glad we bought passes for the three days. Here is a small selection of the many photos I took. We bought gold passes for all three days of the Warbirds Over Wanaka airshow, arriving around midday afternoon. We missed some of the practice routines because of wandering around the grounds in the hot sun looking at static displays and parked planes - bit of a mistake as the Spitfire and Messerschmidt were up at one point, and they were the top of my list to see. The annual expedition in search for the elusive antipodean tree octopus took place in the Oamaru Gardens today. It's a fun steampunk event starting with a splendid (a very steampunk adjective) picnic and tea, then armed with a list of clues we ventured forth in search of octopodes. Why yes, that is the correct plural, the word being Greek rather than Latin. We had to follow cryptic clues taking us all around the gardens answering questions on our forms and keeping an eye out for Octavia and the more rarely seen Septimus. Our team found them both, plus a third unnamed plushy. It was a fun day, but very hot and humid; I admired the fortitude of those sporting more elaborate and heavier regalia than I did. 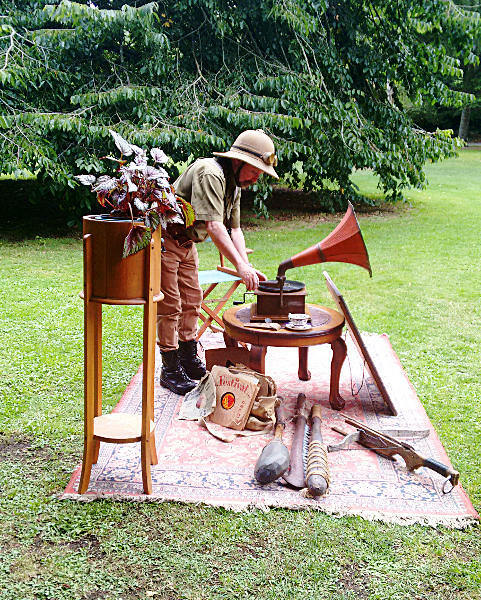 Music for our picnic in and around the rotunda was provided by this chap with his gramophone. I've been meaning to catch up with my photo backlog, but hey, here are some from this evening! 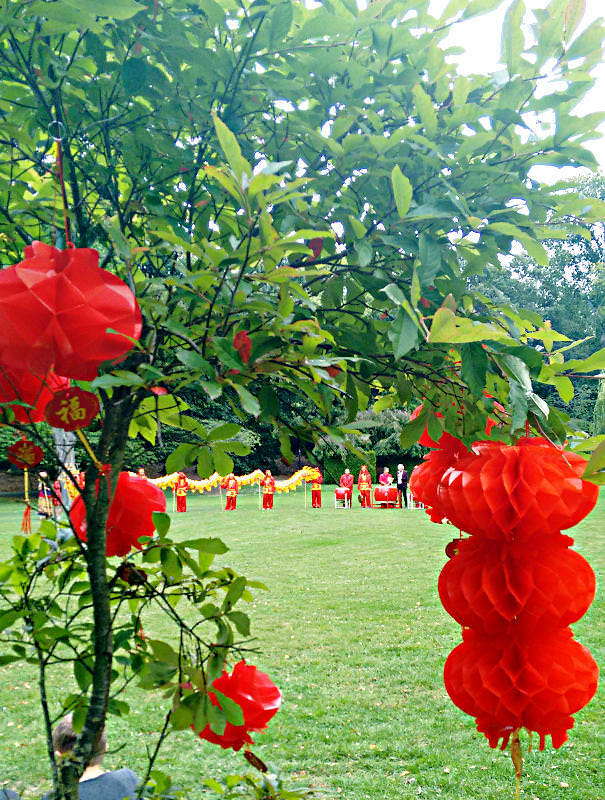 I just got back from a wonderful time at the Chinese New Year celebrations in the Oamaru Gardens down the hill from us. There was lots of yummy food, we were entertained by beautiful dances, and I even scored a relaxing massage for a donation. It was a brilliant evening - no fireworks though because there's a fire ban this summer. I should add: the cultural dance group from Dunedin was led by... a Dr Hu! It was enormous fun, and tomorrow there's yet more with a steampunk octopus hunt, also in the gardens. And we're just back from spectacular fireworks down at the harbour, bursting right overhead; I lay on the grass to watch. 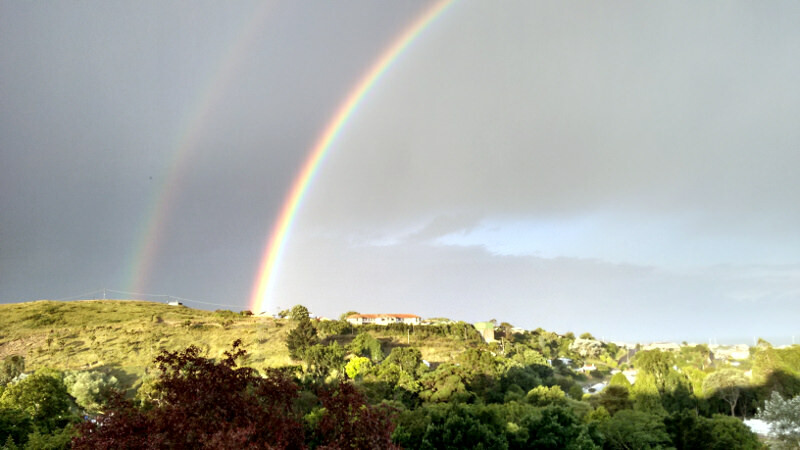 Have a double rainbow over the hill opposite our house, taken from the upstairs sunroom. I keep meaning to say, I have several invites to AO3 (Archive of Our Own), the fanfic archive which will avoid waiting in the queue. So if you want one, message me with your email address and I'll send you one. 1: Yet again with that tired and offensive old sexism trope?